According to the worshippers of the e-world, the late 20th century brought us an unprecedented number of profound inventions. But that is a categorical misunderstanding, as most recent advances have been variations on the microprocessor theme and on the parsing of the electromagnetic spectrum. Perhaps the most inventive time was the 1880s. 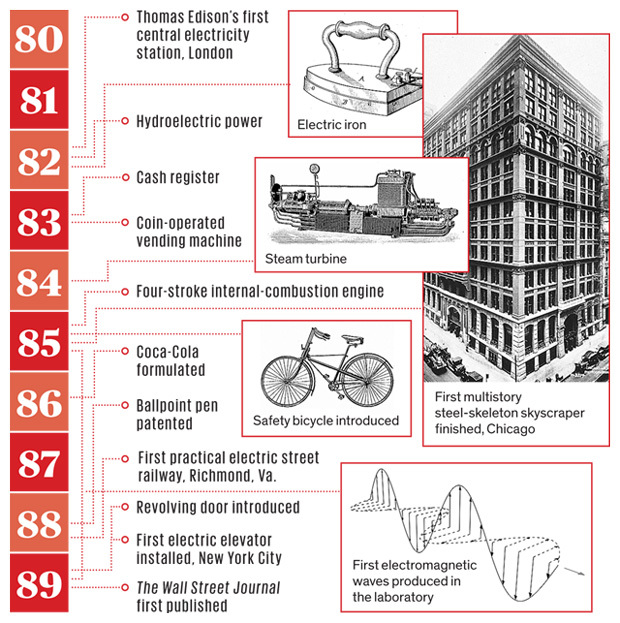 Have any two sets of primary inventions and epochal discoveries shaped the modern world more than electricity and internal combustion engines? Past innovations generated vastly greater unmeasured value than the relatively trivial innovations of today… What we know for the moment is that there is nothing extraordinary in the changes we are now experiencing. We have been here before and on a much larger scale.